Building a great place to play in Dallas | KaBOOM! 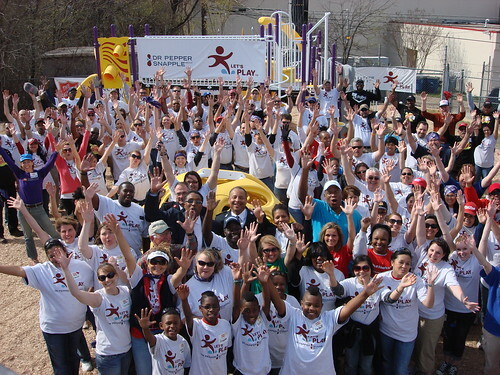 On March 11th, 2011, KaBOOM!, the Cedar Crest Community Center and Dr Pepper Snapple Group built a great new place to play in Dallas. The group of seniors that helped prep and serve food were ecstatic to help out with a project. When you're a senior, you don't get called to help that much and they were overjoyed to be such an important part of Build Day. Play it forward with a donation today so we can keep engaging volunteers of all ages across the country.